Sen. Ben Cardin (D-MD) news conference with aviation workers including Air Traffic Controller Mamie Ambrose at BWI Airport, Baltimore, on Jan. 14. 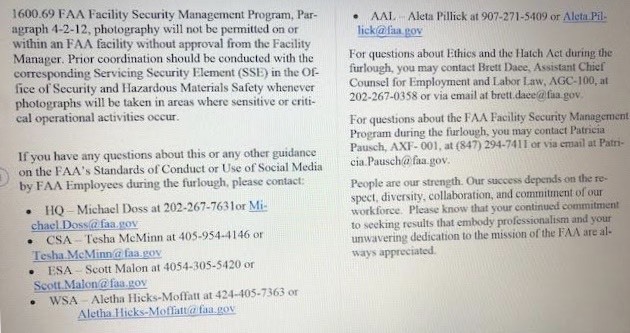 The Federal Aviation Administration (FAA) has warned its employees regarding “restrictions on partisan political activity,” an internal FAA email obtained by TYT reveals. At the time of this writing, the government shutdown is on its fourth week, representing the longest in U.S. history. President Trump has threatened to maintain the shutdown for “months or even years” if he does not obtain $5.6 billion for his southern border wall. He has also asserted that federal workers actually like the shutdown, despite its having left some 800,000 without pay. 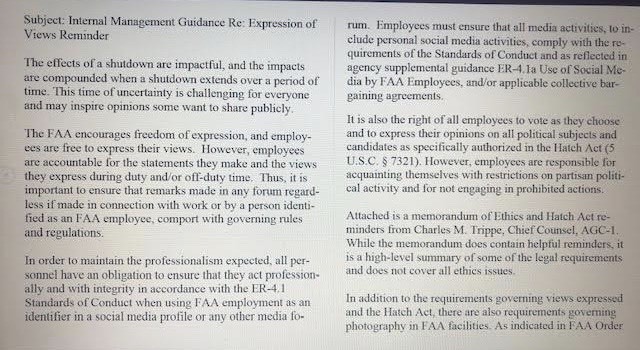 In a separate email, another FAA administrator references the guidelines, saying, “Please be mindful of this guidance to avoid any unnecessary scrutiny.” This was a veiled threat to employees that they would be scrutinized for speaking out, TYT’s source said. “These people are not allowed to speak out. They are expected to work without pay, though,” the source said. 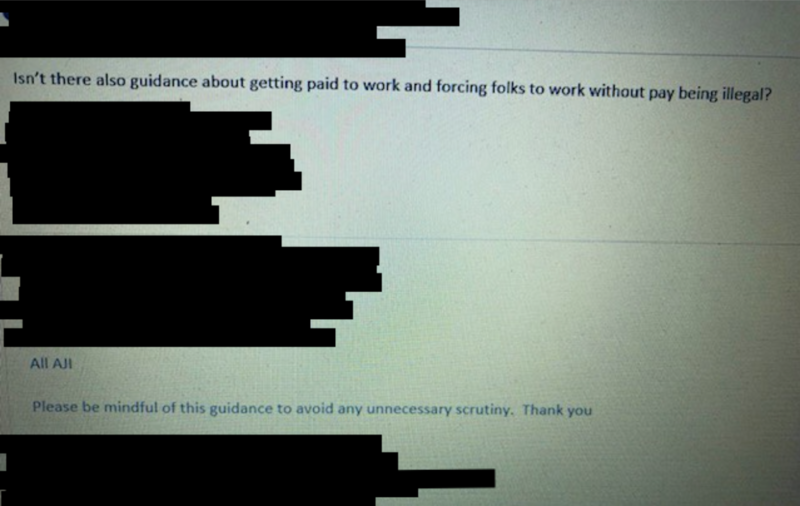 In response to the previous FAA email, one disgruntled FAA employee replied sarcastically, “Isn’t there also guidance about getting paid to work and forcing folks to work without pay being illegal?” The response took the form of a reply-all email, also obtained by TYT, and went out to thousands of FAA employees, the source said. Excerpt from internal FAA email obtained by TYT and redacted by TYT's source. The FAA did not respond to TYT’s request for comment. Labor unions representing FAA workers have raised concerns about the effect of the shutdown on air traffic safety. “People get on planes and think the pilot is in control. The pilot is not in control. They’re just hitting buttons. Controllers are keeping planes from hitting each other or the ground,” the source explained. Over 24,000 FAA employees are working during the shutdown without pay. On Tuesday, a federal judge declined to make the government pay federal employees currently being forced to work without compensation due to the shutdown.